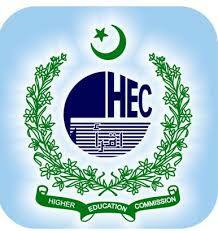 Higher Education Commission (HEC) of Pakistan is highest education authority in Pakistan. It not only regulates the education system and approves universities' charter after careful evaluation but also involved in degree attestation in order to confirm the validity of degrees. HEC attests the degrees/diplomas or certificates issued by HEC recognized universities only which may be private/public. Further neither does it recognize foreign degrees. For many years, HEC was providing attestation services only in Islamabad city. In order to facilitate people, it has opened two more facilities for attestation at its regional centers which started their working on 3rd June, 2013.
. There are announced official timings for degree attestation from 8:00 am to 11:00 am. During this time period, token numbers are issued which help you wait for your turn. Total of 240 token are issued for a day, any number going beyond that is neither issued nor entertained. Further, they do not exceed their time limits in order to entertain the applicants. You can also apply online at HEC's official website for degree attestation. The name of the candidate should be same on all documents provided, i.e. both on degrees and NIC. Both Degrees/ Transcripts issued on the same date, or overlapping semesters between an Undergraduate Degree and a Graduate Degree will not be recognized/ attested by HEC. Note: If applicants are unable to fulfill any of the above requirement, HEC will not attest the degrees/diplomas/certificates. There is charged fee for per document attestation by HEC. It charges Rs. 800 for original document attestation and Rs. 500 for photocopied degree/diploma/certificate attestation. Those who go by themselves have to pay the fee on the counter but those applying online and does no go by themselves have to submit their charges to OCS which also provide shipment service for degree/diploma/ certificate attestation. OCS shipment service charges are Rs. 155 for Islamabad and Rs. 240 for the rest of the Pakistan (excluding attestation fee). can we attest our provisional certificate from HEC ?? "Authority letter duly attested by a Grade 17 officer for the authorized person" ? Fadi it means if you want to get attest your documents through another person you have to give him authority by giving him an authority letter that should be signed nd stamped by a govt. officer of grade 17. It is confirm that attestations can be done same time from lahore? How many persons get attestation in one day? From which time line starts? very comprehensive details.... many thanks for writer, jazakALLAH! how long will it take my documents to be attested after i submit them to HEC? thanks for sharing blog its really informative keep it up. My father name on my CNIC is "Umar Farooq Saeed" and on my Educational documents its "Farooq Saeed". So is there any problem with the name ?? We NOOR TRADERS AND CONSULTANTS providing consultancy services for documents verifications from Pakistan. UAE embassy attestation, Qatar Embassy attestation. DEGREES ATTESTATION, MARRIAGE CERTIFICATE ATTESTATION. B.FORM ATTESTATIONS, BIRTH CERTIFICATE ATTESTATION, LEAVING CERTIFICATE ATTESTATION, EXPERIENCE LETTER ATTESTATIONS. Is It necessary to be register with PEC,for Engineers to attest there degree from HEC? I was stunned to so these kind of services and more in one window. I even asked my friend to submit a query on their website such as Mamooinpakistan submit inquiry as he needed HEC attestation for his Bachelor Degree. My friend questioned me if Mamoo can be trusted for sending original documents , I was bit hassled too for sending documents overseas but after viewing there testimonials and awarded company by Pakistani IT government. I then realize that nothing could go wrong for getting these guys to get the work done. Once I send documents it was easier for to pre pay them as they had several payment options like PayPal, credit card, western union and more… hence after the documents were received they started the process immediately of me and my friends. Within reasonable time they send us the scan of valid attestation and each document were send back to me the way it was send. Purely reliable source that i can count in Pakistan. Their customer service and availability has hence made me and my friend forever client and I’ d recommend them again to my friends and family as we being in oversea need such attestation and other services from time to time. Way to go Mamooinpakistan , heads up for your knowledge base and professionalism for helping me in attestation. Thumbs up to you and your team.. !!! Hello there I have a name Variation in my Degree, an I need to attest it from UAE embassy, please tell how it is possible and id anyone ever get the attestation from Noor Traders or Mamoo in pakistan or anyone else??? AOA any one tell me that for hec verification first i verify my matric and intermediate dgree ??? I got the same problem.my father name on my CNIC is Muhammad ******* and on all documents its without Muhammad.Hec refused to attest my documents. AoA respected sir/madam i have done my MD degree in complemantry medicine from open international university for complementary medicine srilanka Colombo. I want to attest it by HEC kindly guide me how i can attest my degree from HEC. I am in USA and need to verify my degrees and these should be sent by HEC directly to WES (World Education Services). What i should do? Waao Congrats, Finally wait is over...many ppl were waiting for this type of service like How to Verify Degrees from HEC Online. So i suggest to everyone please must follow these steps and get ur degree at ur door step by online degree attestation system of HEC.